This is one of the best smartphones you can buy right now. But whether you should buy it is another question entirely. Even in 2018 - a time when budget and mid-tier smartphones are offering more value than ever - there’s still something really infectious and compelling about the big, bold, underlined hype of a flagship device like the Samsung Galaxy Note 9. Does anybody really need this much power in a smartphone? Who cares! This phone has it, and those power-users doomed to lust after the best are going to be drawn to it like moths. So it was with the Note 5 and the Note 8. And so it will be with the Note 9. Really though, your prior exposure to the Samsung smartphones, and the Note brand specifically, is going to be the make-or-break factor here. If you don’t like the way Samsung’s Android offerings look and feel, the Note 9 won’t magically change this. Likewise, if you bought last year’s Note 8, you can probably stop reading right now. The Note 9 is one of the most expensive phones you can buy but there’s just not enough going on here for it to really offset the cost of upgrading from last year's model. Still, if you’ve got the money and have your eye on a first-class journey to the zenith of the modern smartphone experience, the Samsung Galaxy Note 9 is a hell of a way to get there. It’s not that much better than last year’s model but it’s still an incredibly impressive device across the board. The Galaxy Note 9 invariably suffers from the fact that Samsung don’t really have any legitimate competition to measure themselves against in the Note’s stylus-driven niche. Sure, phone sizes are trending larger but when it comes to powerhouse phablets, there actually aren’t that many options that try and do what the Galaxy Note does. Where the Note 8 upped the ante by bringing the S8’s edgeless display to the table, the Note 9 is pretty hands-off when it comes form and feel-factor. The infinity display, wireless and fast charging, IP68 resistance rating and gorgeous all-glass design are compelling on their own merits. But taken as a lump sum, they make for a device that doesn’t just look and feel like a rehash - it’s a borderline carbon copy of its predecessor. Don’t get me wrong, the above are all things you’d definitely want - and expect - from a device with the price-tag that the Note 9 commands. But in addition to its strengths, a lot of the weaknesses of the Note 8 have also endured. Some haven’t. For example, the single-stereo speaker on the Note 8 has been swapped out for the dual stereo setup of the S9+. However, plenty of minor annoyances like the non-customizable Bixby button and the rear fingerprint sensor remain. The later has been slightly relocated to be below the camera instead of beside it - but it’s still not ideal. Bixby also remains a sub-par part of the experience. 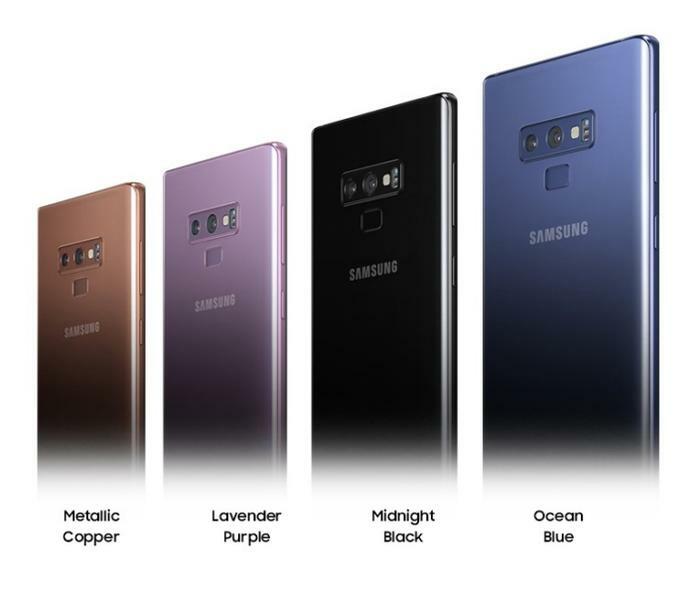 None of these sins are egregious enough to be branded a deal-breaker, but when you’re paying so much for the Note 9 compared to the Note 8, they really do serve to undercut the best-in-class proposition that Samsung are trying to make here. 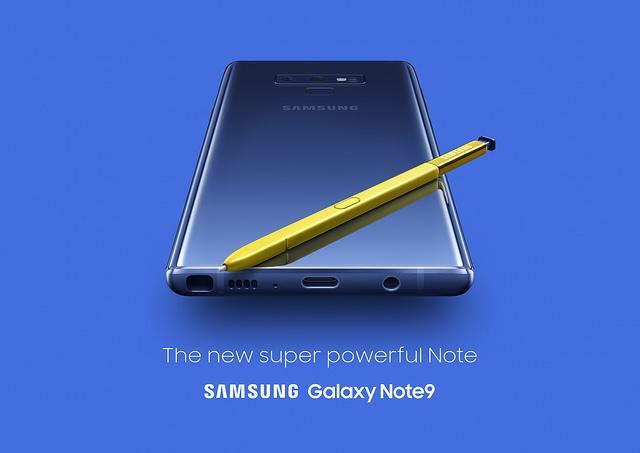 Of course, there is one area where the Note 9 does offer significant differentiation between itself and its predecessors via a set of improvements that have been made to the signature S-Pen. This time around, Samsung’s stylus comes with several new software functions - many of which are customizable. You can use it play and pause music. You can use it to take photos using the Note 9’s camera. You can even use it as a presentation tool. These enhanced features do come with caveat, as the battery powering the S-Pen only lasts forty minutes. Thankfully, fully recharging the S-Pen itself only takes about a minute - so it’s not too much of a hassle. Like last year’s phablet, the stylus experience here feels super responsive and accurate. And, in the right situations, the Note 9’s new S-Pen features can be surprisingly useful. Regardless, it does feel like Samsung is preaching to the choir. If you’re eyeing another stylus-driven smartphone experience, these new features provide a more-than-adequate reason to stick with Sammy. If you’ve been a skeptic in the past, these new features don’t feel they’ll win you over. The final new(ish) feature that Samsung are bringing to the table with the Note 9 is a new and improved DeX experience. In the past, you had to have a whole separate dock unit for Samsung’s DeX feature - which turns the Note’s Android interface into a desktop-like experience. Now, you just need a single USB-C to HDMI cable. We had hoped to extensively test this feature as part of our review but haven’t yet managed to get our hands on the specific cable necessary to do so. We plan to update this review once we have done so.